General Atomics Aeronautical Systems, Inc. (GA‑ASI) and GKN Aerospace have declared their intent to collaborate on composite tails for GA-ASI’s Predator® B Remotely Piloted Aircraft (RPA) series via a Letter of Interest (LOI) signed at the Farnborough International Airshow. 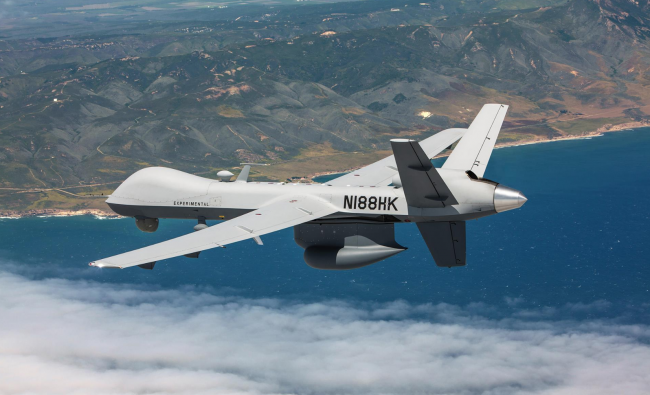 GA-ASI has been partnered with GKN Aerospace’s Fokker business unit in the Netherlands since 2016 for production and sustainment of Predator B/MQ-9 Reaper® landing gear subsystems. In April of this year, GKN Aerospace Deutschland and GA-ASI entered into a Technical Assistance Agreement (TAA) to expand GA-ASI’s carbon-composite manufacturing capabilities significantly by manufacturing major aerostructures for MQ-9B SkyGuardian, the latest evolution of the multi-mission Predator B, in Germany. Following the successful completion of the required technical and commercial evaluations and agreement, GA-ASI also intends to perform composite manufacturing for Predator B tail structures at GKN facilities in the UK. GA-ASI’s Predator B line currently includes MQ-9A, Guardian, MQ-9A Extended Range, MQ-9A Big Wing, MQ-9B SkyGuardian, and MQ-9B SeaGuardian. Over 325 Predator B aircraft have been built to date and have flown over 2.2 million flight hours supporting the U.S Air Force, Royal Air Force, Italian Air Force, French Air Force, U.S. Department of Homeland Security, NASA, and other customers.